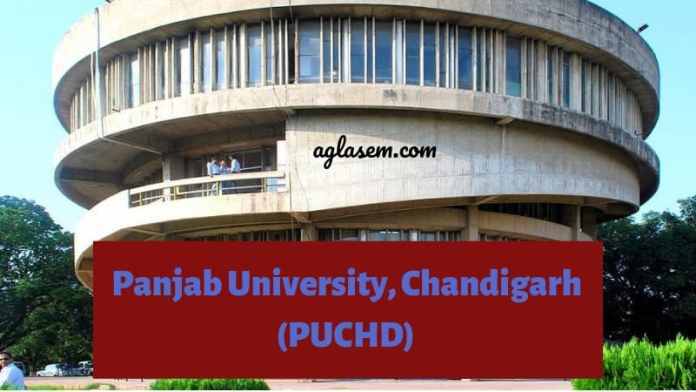 PUCHD Admit Card 2019 – Panjab University releases PU Admit Card online at the official website, www.puchd.ac.in. Students appearing for the university semester exam can download Panjab University Admit Card through the link provided on this page. Panjab University released the PUCHD Admit Card for all the eligible students. To download PU Admit Card students name, father’s name, mother’s name, and the registration number is required. PUCHD Admit Card is very important for appearing in the exam. No students will be entertained in the exam without the admit card. Students are advised to keep the admit card safe until the exam result is declared. Latest: Panjab University has released the Admit Card for Private ad Usol Students May 2019 exam. Students are advised to download their Admit Card before appearing the exam. If the students are unable to download their admit card then contact the controller of the exam. Students can check the Panjab University Date Sheet to know the exam schedules. The link to download the admit card will be provided below. Admit Card: Click Here to download PUCHD Admit Card 2019. How to download PUCHD Admit Card 2019? Students eligible to appear in the exam will be able to download the admit card through the link mentioned on this page. To download Panjab University Admit Card students can follow the steps will be provided to the students from the mentioned below. Panjab University Chandigarh Admit Card is the most important document to carry on the day of the exam. No students will be entertained in the exam without the admit card. PUCHD Admit Card holds the information of the students and the exam centre details. The Admit Card of the students is verified during the exam by the examiner. Students have to display their admit card to the examiner when asked to do so. Do not damage your Admit Card or write anything on it. Panjab University releases the result of the semester exam online. Students can check their result at the official website of Panjab University. The University releases the result in pdf. Students can check the credit earned and marks obtained in the exam from the result. The mark sheet can be obtained from the department or the controller of the exam. Students appearing for the Panjab University Semester Exam must follow the instructions mentioned on the day of the exam. Report to the exam centre 30 minutes earlier before the exam starts. Carry the admit card and college id card on the day of the exam. Mobile Phone and programmable calculator are prohibited in the exam hall. Do not practice or involved in any kind of malpractice. If found doing so then such students will be booked under the unfair means.